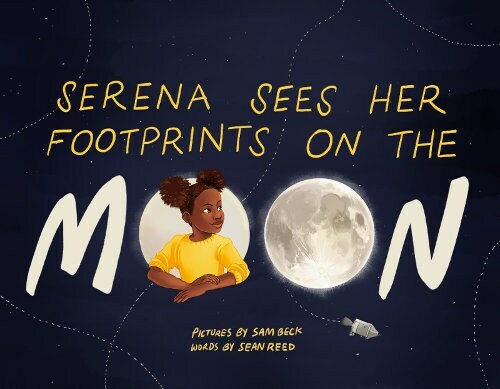 Through vibrant illustrations and an engaging storyline, "Serena Sees Her Footprints on the Moon" follows a young girl exploring a place that only a dozen other people have been. We see her exploring the surface of the Moon by tracing the footsteps of astronauts, discovering pieces of rockets, science experiments, Lunar Rovers, and personal mementos left behind by previous astronauts. She leaves her own footprints on the moon as she explores farther than any astronaut has before. This beautifully illustrated STEM children's book will inspire children to believe that dreams which seem out of reach, such as exploring outer space are truly within their grasp.